Length: 125mm. Image shows assembled and painted kit. 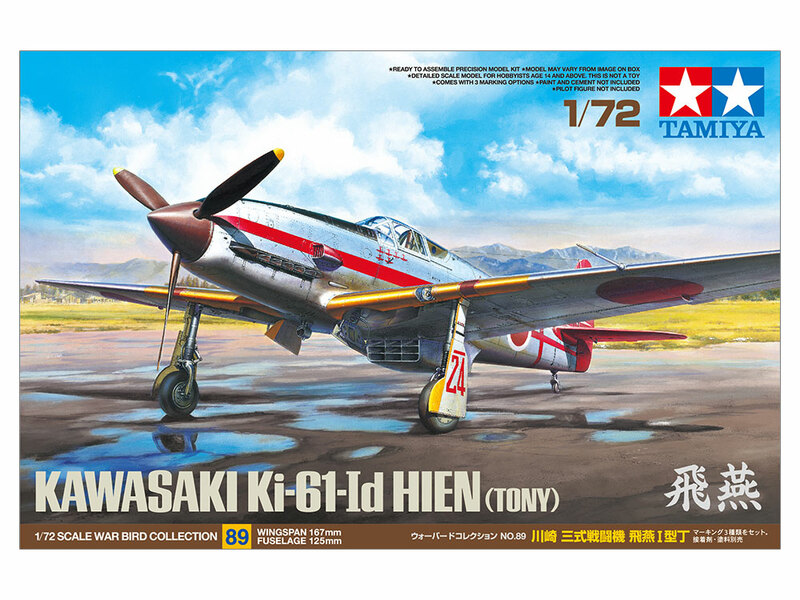 ★This is a 1/72 scale plastic model assembly kit. Fuselage length: 125mm, wingspan: 167mm. 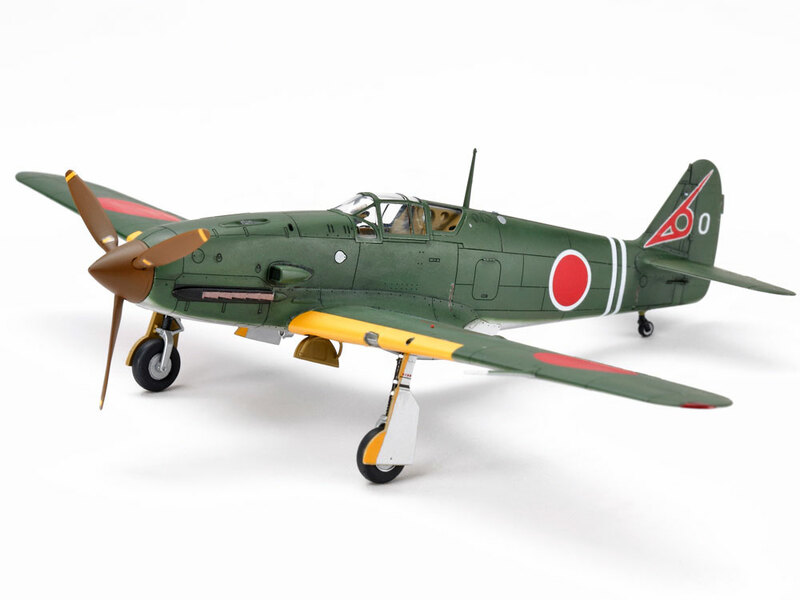 ★The model accurately depicts the Ki-61-Id Type Hien with elongated nose and slim fuselage. ★Complex underbelly air intake slats are artfully depicted using a single part. ★Features impressive detail in cockpit interior and landing gear bays. 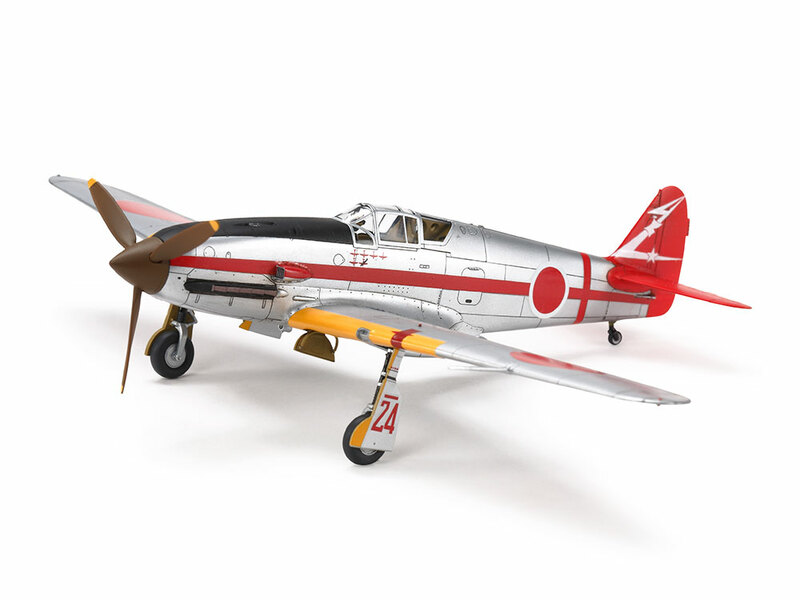 ★Comes with 3 marking options including 244th Air Group. ★Marking option included for understated 19th Air Group Hien with dark green upper surfaces and unpainted underside. 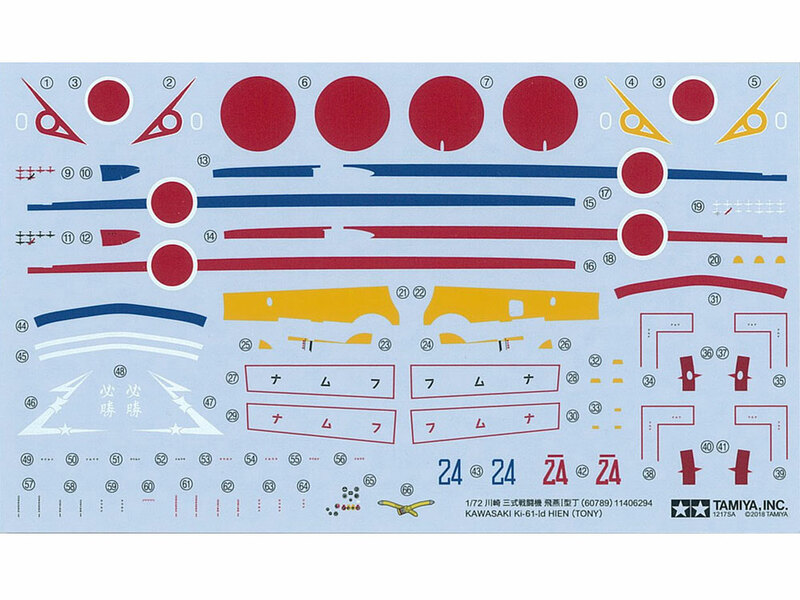 ★A comprehensive set of decals features no less than three marking options for the modeler to choose from. 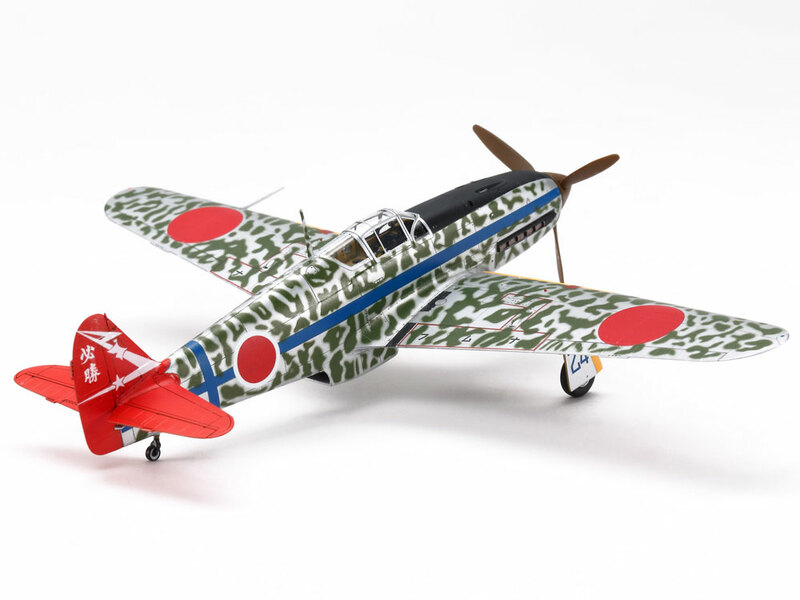 ★The distinctive mottled camouflage and bright tail of 244th Air Group Commander Shunzo Takashima is also on offer. 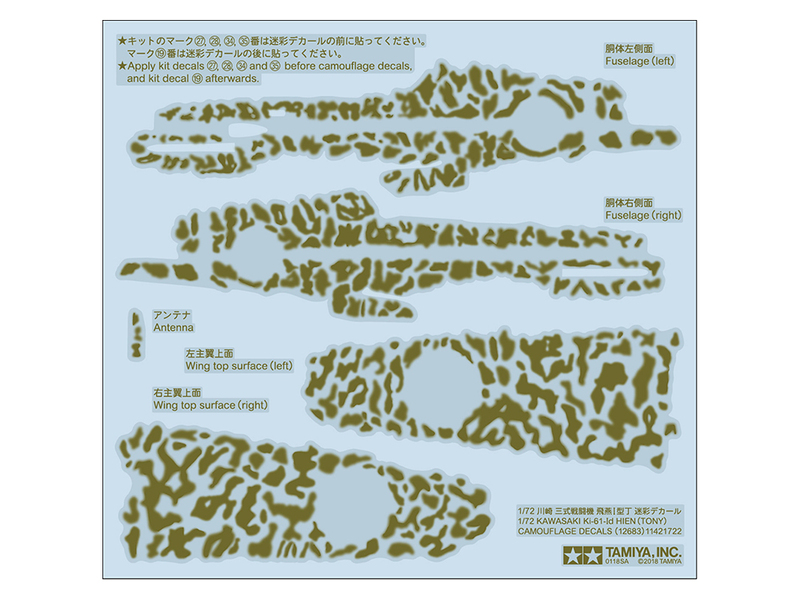 Now you can recreate with ease the complex mottled camouflage seen on some versions of the aircraft, thanks to this handy decal sheet (sold separately). 5 decals are used, each covering a section: left/right wings, fuselage left/right, and antenna. This set is perfect for those without the time to tackle a complex paint job. Click here for more information! Information is correct as of March 2, 2018. Specifications are subject to change without notice.